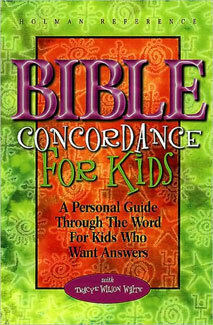 Now young readers have a Bible concordance to call their own. Carefully designed to appeal to younger readers this book will help children discover the many exciting facets of Scripture at their own pace, and will prepare them for a lifetime of exploring the Bible. Kids will see the cross-referencing as a treasure-hunting adventure. Their parents will see it as a way to encourage a lifelong interest in God's Word. Filled with easy-to-follow tips and citations, this unique resource will be invaluable for children of all ages in Sunday School, at Christian Schools, in the home, or just for the sheer joy of discovery.